If you were armed with coloured pencils and a blank canvas, what kind of interior design magic could you muster? 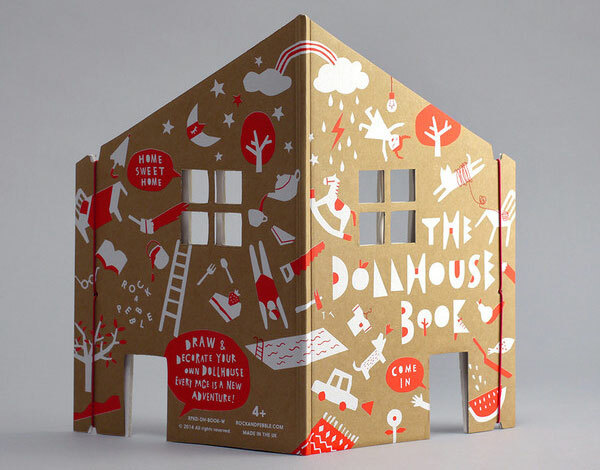 Perfect for all would-be interior designers and those with imagination to burn, we give you the The Dollhouse Book! 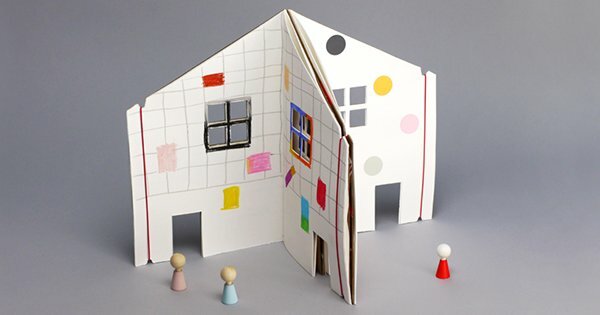 I would have fancied something like this myself when I was a child (alright, who am I kidding, I fancy it for myself even now), The Dollhouse Book has thirty pristine blank pages, each complete with door and window cut outs. It’s up to you to decorate the dollhouse room interiors however you see fit. Fancy a rainbow coloured bathroom with a diving board? Absolutely. The fun doesn’t end with the decorating of pages. 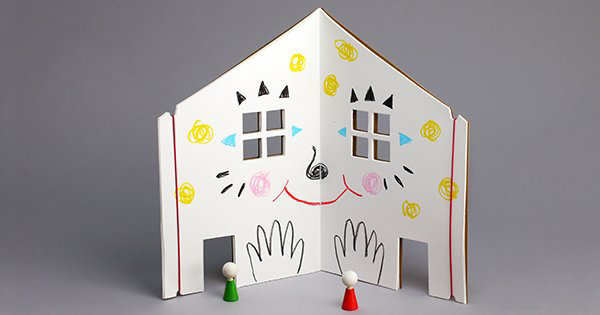 Each Dollhouse Book is finished by hand with a gorgeous screen printed and durable cardboard cover. 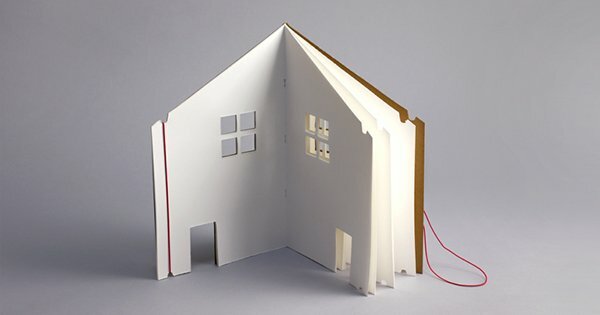 Red elastic cords allow the book to stand and fan out your desired pages for some serious imaginative play, no matter where you are. The Dollhouse Book is priced US$35 and available from Rock & Pebble.